The event, now in it’s fourth year, involves a 5km run at the home of Ireland’s longest runway. 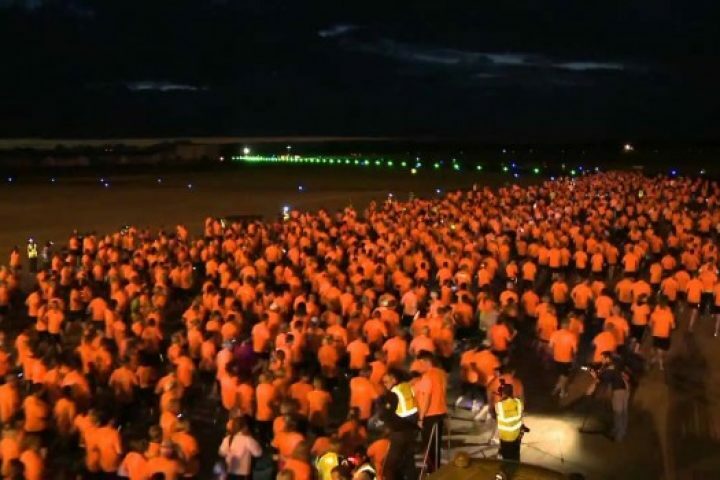 This year will see competitors enjoy a grandstand finish at the Airport Terminal building, where all of our ‘arrivals’ will be clad in high visibility race t’s! The Corporate Challenge is also back by popular demand. You can register up to 10 people for your company team. Your top 5 times will be recorded for the winners table – which must include two female and two male runners. Many thanks to our sponsor, Bank of Ireland, who have once again pledged their support so that all proceeds from the event go to our Shannon Group Charities – Cahercalla Hospice and Homeshare Clare. We hope you can join us on Friday 16th June at 23.59 to raise much needed funds for these great organisations!